Lynch Creek Dahlias: Overstock Dahlia Tubers: Bargains for Buyers! Dinner-plate-sized Bodacious is a show-stopper. Last year was a great season for dahlias at Lynch Creek Farm on South Puget Sound. A cool wet spring gave the dahlias a sound start. In mid-July, cool and damp weather gave way to a long, dry late season so the dahlias remained in top condition and produced lots of excellent tubers. 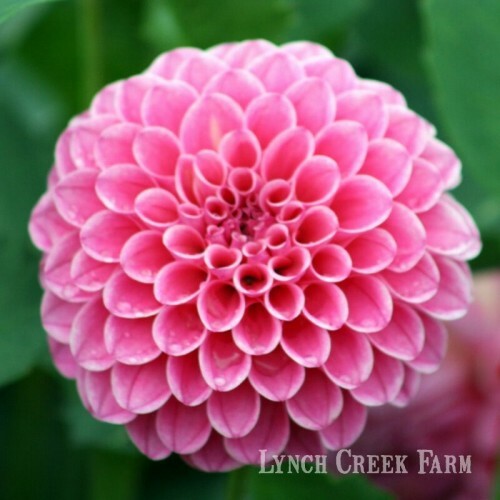 So this year, Lynch Creek Farm has an abundance of some of its most popular dahlia varieties. To keep the supply of planting stock in bounds, the staff at The Farm is making overstock tubers available at bargain prices, in some cases as much as 50 percent off the regular price. Buy some, give some as gifts to your favorite gardening friends and family. What was good for dahlias last year is good for your budget this year. 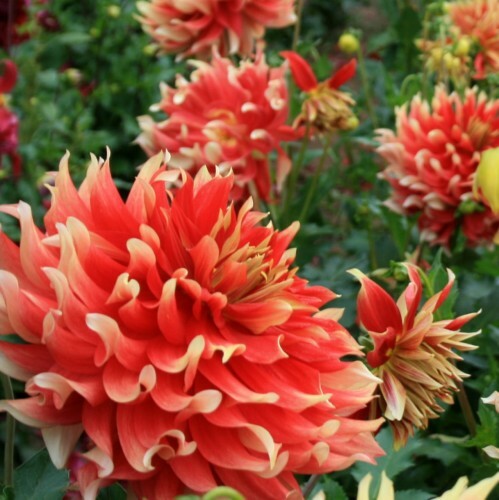 Lynch Creek's bargain dahlias are top-quality tubers, and the list of available overstock dahlias includes some of the best-selling tubers on the list: outrageously big, bold dinner-plate dahlia Bodacious, for example, ten inches across and flaming hot red with yellow tips. Bodacious grows 4.5 feet high and is amazing as a cut flower, a stunner in the garden and a big winner in shows. Rebecca Lynn is the perfect wedding flower. Each week the Farm's Web site features several picks at bargain prices. Among them this week, and available at half price, is luscious Rebecca Lynn, a bright pink formal decorative with incredible substance: tight petaloids on a long, strong stem. Rebecca Lynn is perfect for weddings, summer bouquets, and garden performance. The Hunter family's floral shop uses hundreds of stems of this sweetheart dahlia every year for wedding bouquets and arrangements. With prices cut, your dahlia dollars go farther. Check out what other beauties Lynch Creek Farm's weekly features offer you at sale prices!